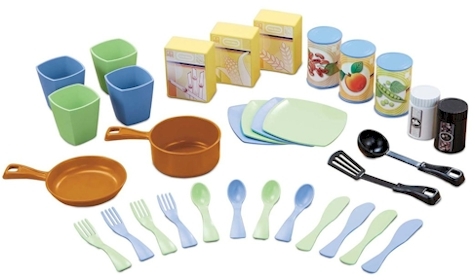 Who has a play-kitchen on their Chanukah list? This is a major steal and it just dropped about ten more dollars to a new Amazon lowest price! Amazon has got the Little Tikes Cook 'n Store Kitchen for just $45.89 with free Prime/SuperSaver shipping, the lowest recorded Amazon price on this play kitchen. 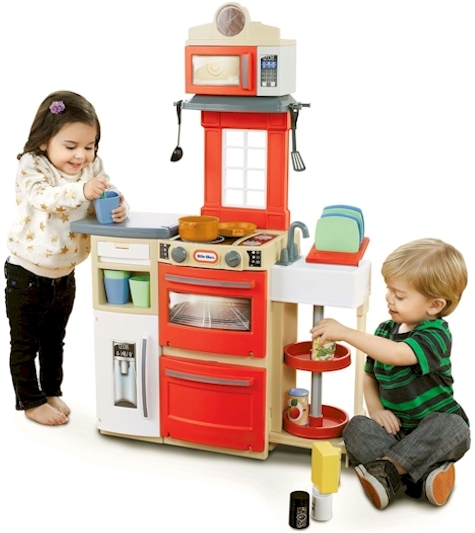 This play kitchen got 4.1 out of 5 stars over 20 customer reviews. 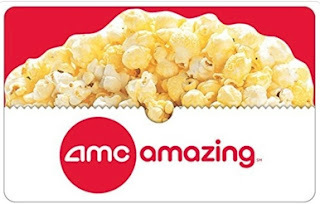 Save $10.00 when you spend $50.00 or more on select AMC Theatres email Gift Cards when you enter promo code HOLAMC10 at checkout. 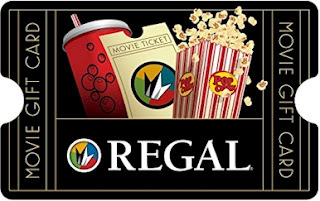 Save $10.00 when you spend $50.00 or more on select Regal email Gift Cards when you enter the promo code HOLREGAL10 at checkout. 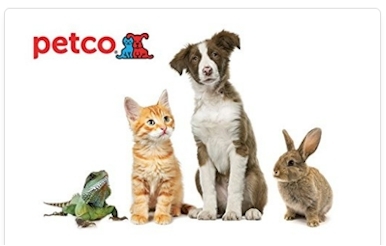 UPDATE: SOLD OUT on PETCO gift cards Save $5.00 when you spend $25.00 or more on select Petco email Gift Cards when you enter the promo code HOLIPETCO5 at checkout. Other gift card promotions on Amazon are over here. 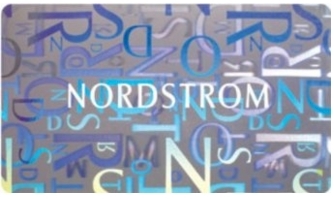 For a limited time, get a $10.00 Amazon credit when you buy a $100.00 Nordstrom gift card from Amazon. Make sure you enter the promo code NORDHOL10 at checkout to receive the $10.00 Amazon credit. The credit will be sent you separately via a promo code in an email within five days of your purchase. One credit per customer account. 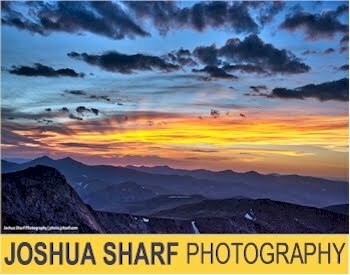 The $10.00 Amazon credit is good through 1/31/16. 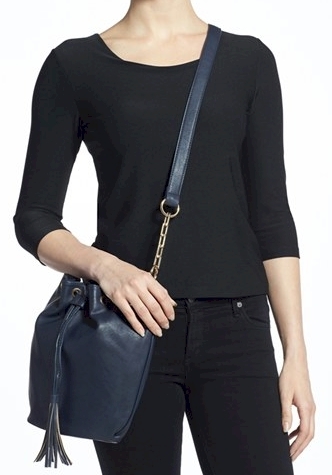 If you've been reading Daily Cheapskate for a while, you know how often I post great sales and deals from Nordstrom. While Nordstrom is considered a more expensive store, their sales are fantastic, and Nordstrom a great source for higher-end designer stuff at very reasonable prices. They also have year-round, sitewide free shipping and free returns, which makes online shopping a breeze. I bought my Nordstrom gift card without any hesitation that I'd be able to use it. Platte River Trading animal hand puppets are very popular on Amazon, but I have never seen one priced at $2.99 with free shipping, as they are on GearXS. Compare that price to the prices you see on Amazon, and you'll understand why this is such a great deal. Collect a bunch and your child can put on quite a puppet show for a very low price indeed. TIP: Remember back here, when I posted a deal on a "locust" (sort of) puppet that was perfect for Pesach? 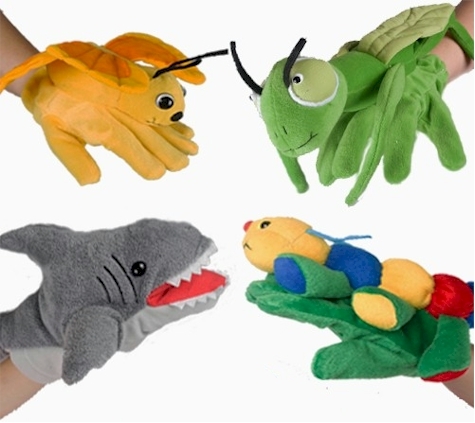 The Praying Mantis hand puppet in this deal is not too far off from looking like a locust. Remember, off-season shopping is a great way to save money! 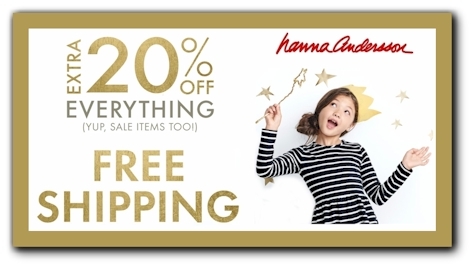 CYBER-MONDAY DEAL at Hanna Andersson: extra 20% off sitewide (including sale items) and free shipping with no minimum, today only! Want to pick up some beautiful higher-end children's clothing on discount today? Get an extra 20% off sitewide (including sale items!) and FREE shipping with no minimum at Hanna Andersson, today, 11/30/15 only. 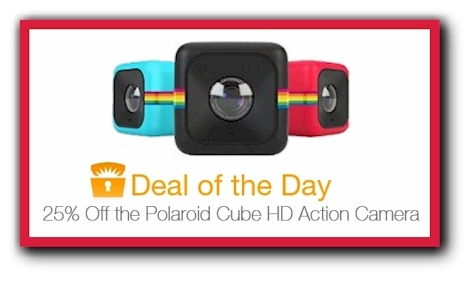 One of Amazon's Cyber-Monday deals today, 11/30/15 is on this Polaroid Cube HD 1080p Lifestyle Action Video Camera, which is very much like a small GoPro, priced today at $74.99 with free Prime/SuperSaver shipping (was $99.99 yesterday). It comes in black, red or blue, and got EXCELLENT ratings, 4.4 out of 5 stars over 956 customer reviews. DESCRIPTION: Huge, out-of-the-box fun. In little more than 1 cubic inch. Standing at just 35mm, the Polaroid CUBE is here to prove that the best things do indeed come in small packages. This tiny action camera supports Micro SD cards up to 32GB, and is ready to capture your most exciting moments in full HD video or highresolution images. So if you're living a life that's fit for film, make the CUBE your constant companion. It is weatherproof and shockproof, and more than capable of handling anything you throw at it. But not only does it look after itself, it looks after you: with a 124° wide-angle lens, it sees the big picture and bears witness to your most outrageous shtick. Packs a mounting magnet; sticks to any metal surface. The fun rarely sits around waiting... That's why the Polaroid CUBE features a neatly integrated magnet in the bottom of its housing. Simply pop the camera onto your helmet, skateboard, bicycle handlebar, golf club, or any other metal surface, and it'll stick with you through thick and thin. There's no need to fiddle with bands, straps or other makeshift apparatuses. What's more, the camera's shockproof design helps to capture stable video even when you give it a run for its money, and its weatherproof sealing makes it perfect for wake boarding, water skiing or just chillin' by the pool. 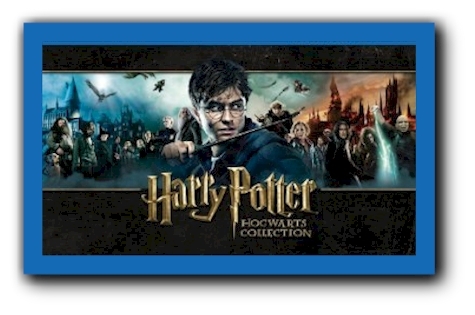 One of Amazon's Cyber-Monday deals today, 11/30/15 is on this Harry Potter Hogwarts Collection, available in three formats: DVD, Blu-Ray and multi-format. 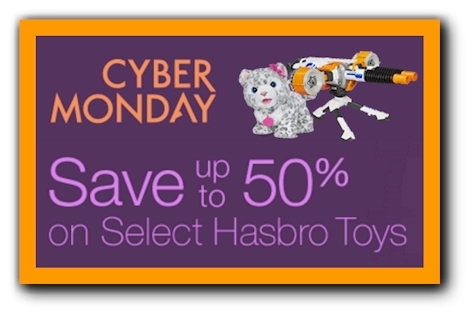 More great Cyber-Monday toy deals! 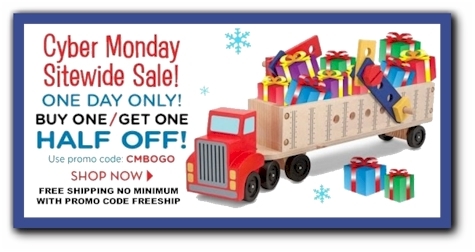 MelissaandDoug.com are running two great deals for Cyber Monday: 1) free shipping, no minimum with promo code FREESHIP and 2) BOGOHO...buy-one-get-one-half-off with promo code CMBOGO sitewide. And yes, these two promo codes are stackable. 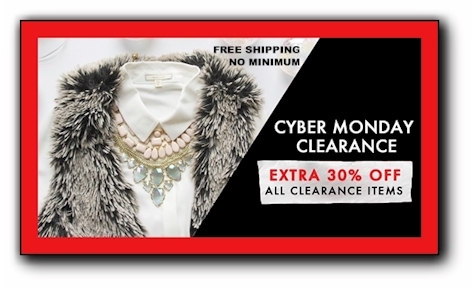 Today, 11/30/15 only FREE shipping with no minimum today at NordstromRack,com and extra 30% off clearance items. Too many deals and finds to list but do make sure to check out their sale on Hunter boots while you're shopping. Also scavenge through the clearance children's section; there are always fantastic deals there, and with free shipping, you'll snag some major designer loot for your kids. 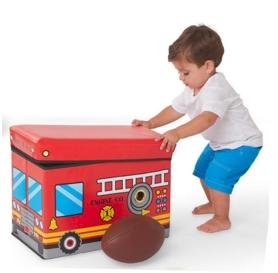 Today, 11/30/15 only, enter promo code CYBER to take 20% off everything sitewide at Creative Kidstuff. Also, free shipping is now at $25 (instead of $99) when you enter promo code MERRY, though be aware that some items have a shipping surcharge which won't be removed with a promo code (i.e. 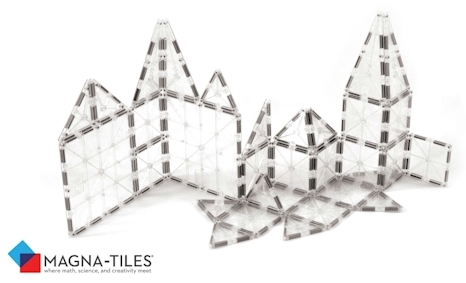 Magna-Tiles come with a $5.95 shipping surcharge). Happily, on CreativeKidstuff.com you can stack a whole bunch of promo codes, which give you layers of savings. 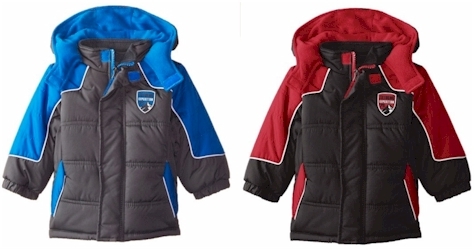 Orders over $120, use promo code CK4COATS to have a major US manufacturer donate a coat to kids in need. Orders over $60, use promo code CK4SHOES to have Soles4Souls donate a pair of children's Stride Rite shoes to a child in need. 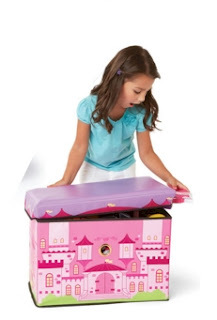 You can also shop their Melissa & Doug sets, LEGO sets, STEM toys, KidKraft, etc. and you can score some nice deals with that 20% off sitewide discount. Amazon has got the Evenflo SureRide DLX Convertible Car Seat in the "Nicole" color scheme for $65.44 with free Prime/SuperSaver shipping, the lowest recorded Amazon price on this popular car seat. It got 4.1 out of 5 stars over 360 customer reviews. 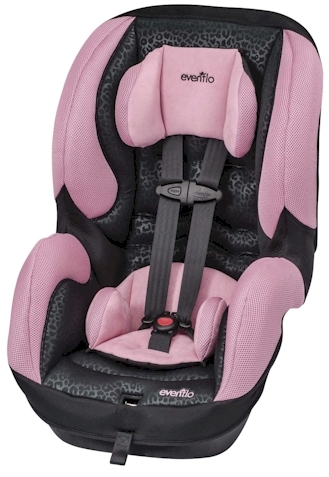 Description: Keep your growing child safe and comfortable in the Evenflo SurerRde DLX convertible car seat. With a rear-facing weight rating up to 40 pounds and a forward-facing weight rating up to 65 pounds, your child can remain harnessed longer. Try this seat for a top notch extended-use option at an affordable price. 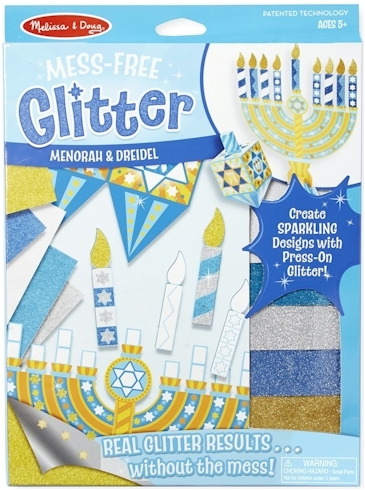 Amazon has got the Melissa & Doug Mess-Free Glitter Menorah & Dreidel Activity Set for $6.99. The way this clever Melissa and Doug craft set works is that your kids make the glitter designs with press-on sheets instead of gluing on glitter (and getting it all over your house), so it truly is mess-free. 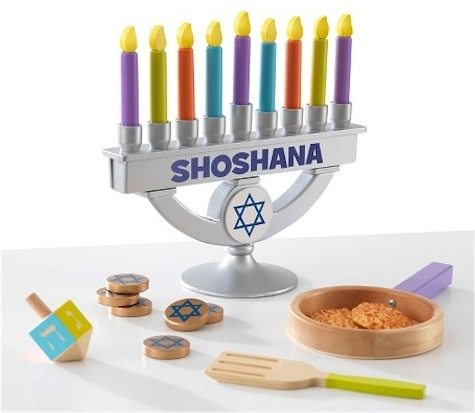 In addition to the menorah and dreidel, the set comes with 9 foam candles, so after your kids make their free-standing menorah, they can actually "light" it along with Abba (and/or Ima). What a GREAT Chanukah project! This is an Amazon Add-On item, which means that it ships for free with a $25 minimum order if you are an Amazon Prime member (and its price of $6.99 counts towards that $25), or it ships for free with a $35 minimum order if you're not a Prime member. You can buy multiples of this item to help get you to your $25 or $35 minimum for free shipping, but be aware that because of the low price, Amazon has limited the ordering on this set to a maximum of 8 per account. Description: Make dazzling Chanukah decorations with press-on glitter! Our patented technology lets kids get the look and feel of real glitter without the mess. One simple process creates amazing results: Just peel away a section of white paper from the menorah, dreidel, and foam candles, then select which of the five different-colored glitter sheets to press on for instant sparkling art. 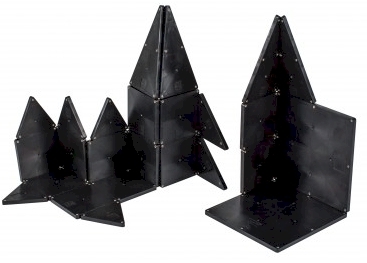 There are many ways to make these sturdy free-standing holiday designs sparkle! It seems like everyone is getting into Black Friday/Cyber Monday promotions this week. 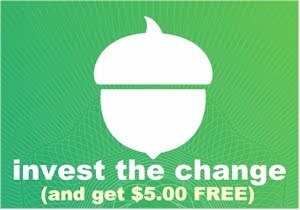 Oh Nuts, one of my favorite kosher gift basket companies in New York, is running a number of promotions this weekend as well! I've used Oh Nuts many times in the past for gift boxes and baskets for holidays and simchas, and I was pleasantly surprised to see their Black Friday/Cyber Monday promotions this weekend, so I thought I'd share the bounty. What I love about Oh Nuts is that 1) just about all of their gift packages are reliably kosher, 2) lots of them ship for free, 3) their presentation is absolutely beautiful, 4) their candy is delicious and 5) if you like, you can order now and delay shipping until just before Chanukah (or Christmas), if you so choose, which lets you cross these holiday gifts off your list far in advance. 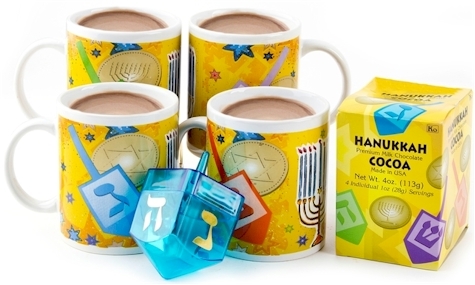 The Chanukah Hot Cocoa Set (pictured at the top of the post) comes with four mugs, each decorated with one Hebrew letter from the dreidel, along with 4 individual 1-oz. bags of premium cocoa powder and a large driedel, and this weekend it is priced at $18.72 with free shipping. (The cocoa is under the K-O, dairy chalav stam, one of the hechsherim recommended by Rabbi Eidlitz.) Enter promo code CS3, and that price drops by 3% to $18.16 with free shipping. 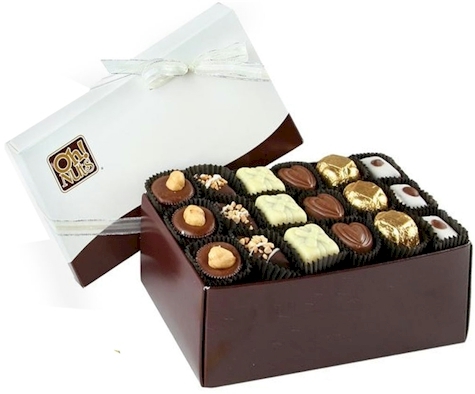 Get this 18-piece box of pareve truffles sent anywhere in the US for $21.95 with free shipping! Enter promo code CS3 at checkout and that price drops by 3% to $21.29 with free shipping. Considering the inflated prices I've seen of reliably kosher pareve truffles online, this is a great deal. Check out their other holiday gift specials here (look for the ones with free shipping). Amazon has got a stellar Cyber-Monday deal on a KitchenAid 6-Qt. 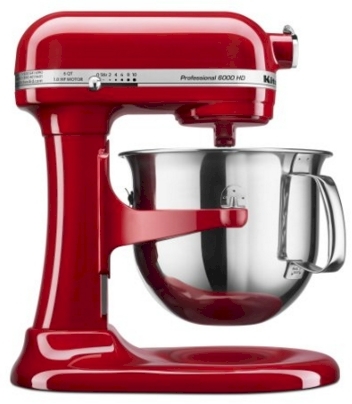 Professional 6000 HD Bowl-Lift Stand Mixer in empire red, onyx black, or contour silver (model #KSM6573C), for $249.99 with free Prime/SuperSaver shipping. This deal today, 11/30/15 only. It got 4.3 out of 5 stars over 13 customer reviews. You see tons of deals on 4.5- and 5-quart, but deals under $300 on 6-quart KitchenAids are rare. This KitchenAid stand mixer usually goes for just over $400. Still shopping for the perfect toy for Chanukah? 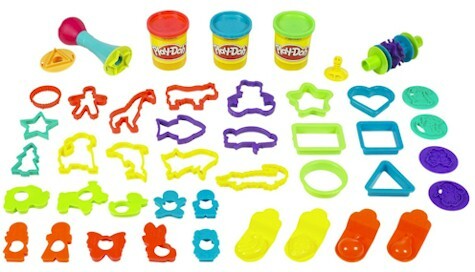 Play-Doh Super Molding Mania for $8.99 with free Prime/SuperSaver shipping. 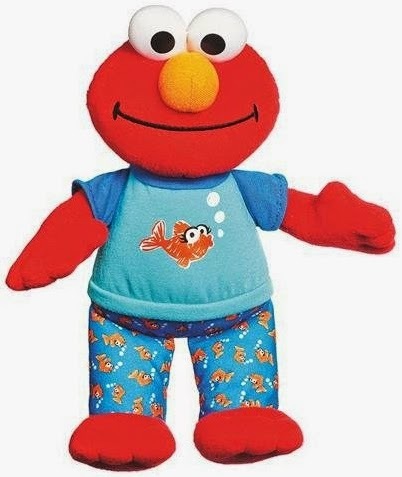 Sesame Street Playskool Lullaby Good Night Elmo Toy for $9.99 with free Prime/SuperSaver shipping. 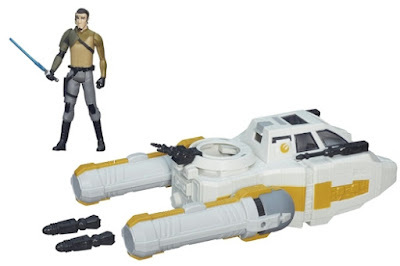 Star Wars Rebels 3.75-inch Vehicle Y-Wing Scout Bomber, $12.99 with free Prime/SuperSaver shipping. 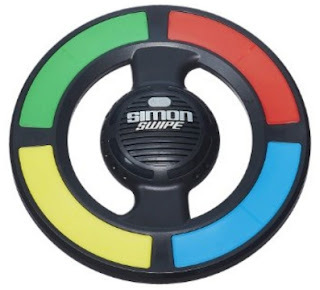 Simon Swipe for $11.99 with free Prime/SuperSaver shipping. This 50% sale on Hasbro ends tonight,at midnight, so shop the deals while you can. 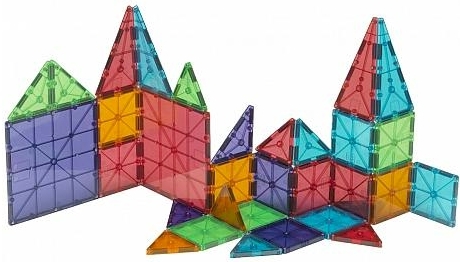 TARGET CYBER-MONDAY DEALS on popular toys: Magna-Tiles 74-count set, Magrific 100-piece set and KidKraft Chanukah set. 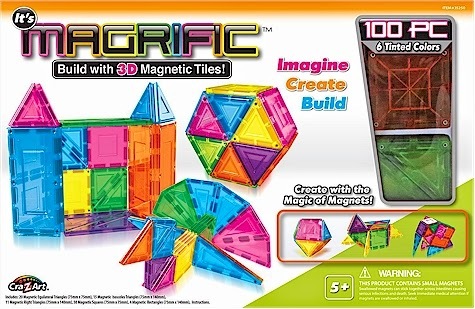 Check out these Target Cyber-Monday Deals on Magna-Tiles 74-count set, Magrific 100-piece set and KidKraft Chanukah set. 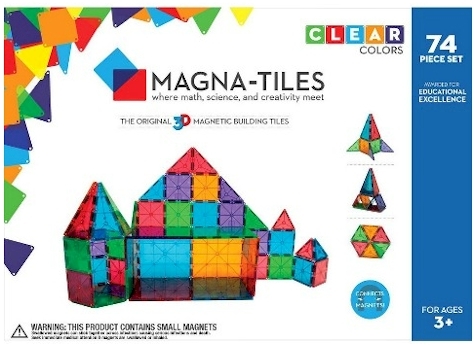 Magna-Tiles 74-piece Magnetic Tile Building Sets in clear colors for $84.99, down to $63.88 shipped after checkout. 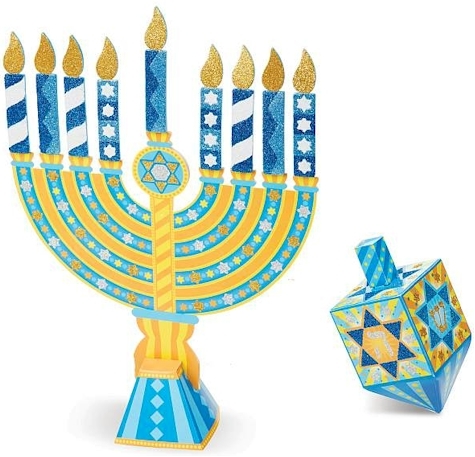 KidKraft Chanukah Set for $32.99, down to $26.64 if you purchase one or $24.26 each if you purchase two. If you team up with a friend and purchase two KidKraft Chanukah sets at once, you can discount this set a little further. This is one of Amazon's BEST Annual Black Friday/Cyber Monday offers: take 30% off any printed book on Amazon.com when you enter promo code HOLIDAY30 at checkout. Your promotional credit limit is $10, (which is about 30% off a $33 book). Excludes Kindle eBooks and Audible Audiobooks. Lots of ways to go on this one. other coffee table books to consider. I think it's important to get a book that you will want/need/read, but I also like the idea of maxing out the benefit of the discount to the full $10, so I would aim for a book that costs $33.34 or more. Make sure it's a book sold by Amazon (you can filter for it by checking off Prime shipping in the options on the left side). 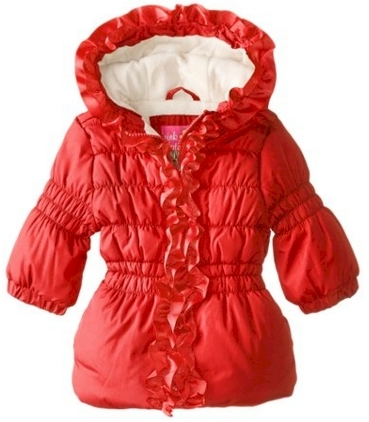 This Pink Platinum Baby Girls' Grosgrain Detail Puffer Jacket in red is priced at $11.00, but enter promo code CYBERMON and that price drops by 30% to $7.70 with free Prime/Amazon shipping. 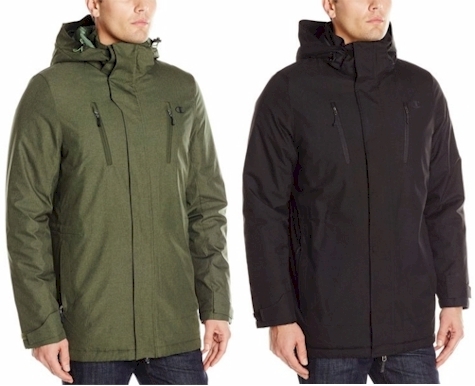 Pretty good deal, especially considering that the other colors are priced at $50.00! It comes in sizes 12 months, 18 months and 24 months. 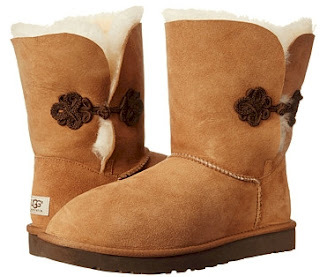 Check out their selection of UGG boots, with lots of new styles,on steep Cyber Monday discounts. The UGG Bailey Marikos that are at the top of this post (which I think might just be the cutest UGGs I've ever seem) go down to $129.20 after the promo code. Shop around; that 15% off sitewide promo code is good today, 11/30/15 only. Wow. 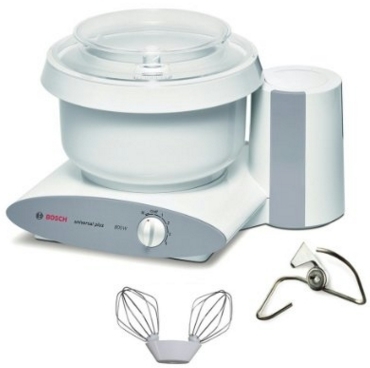 Amazon just dropped the price on this Bosch Universal Plus Kitchen Machine down from $390 to $299.99 with free shipping, the lowest recorded price on a Bosch Universal Plus. This kitchen workhorse got 4.7 out of 5 stars over 166 customer reviews. My friends who own one absolutely LOVELOVELOVE them. FYI, any other accessories that you buy for the Bosch should have the letters MUZ6 in its model number. 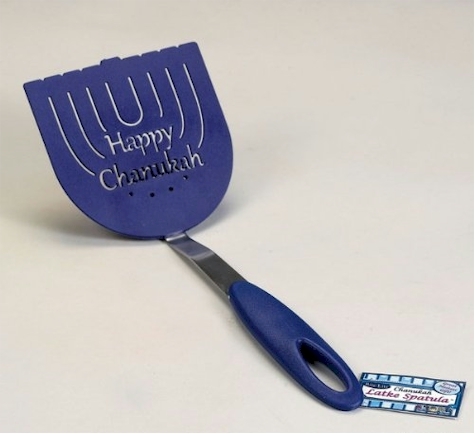 Amazon has got this Menorah-shaped spatula for $8.24 with free Prime/SuperSaver shipping. This is just a little bit of Chanukah fun and a unique hostess gift; I couldn't resist posting. 4.5 out of 5 stars over 4 customer reviews. Measures approximately 11 1/2" L x 4" W x 3" H.
If you like this sort of thing, check out these dreidel tongs, and this dreidel ice cube tray as well (I actually own the dreidel ice cube tray; don't judge). 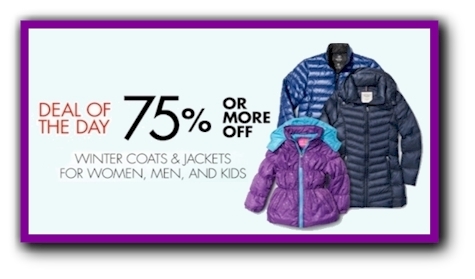 Amazon's Gold Box Deal of the Day: 75% or more off Winter Coats & Jackets for women, men and kids. 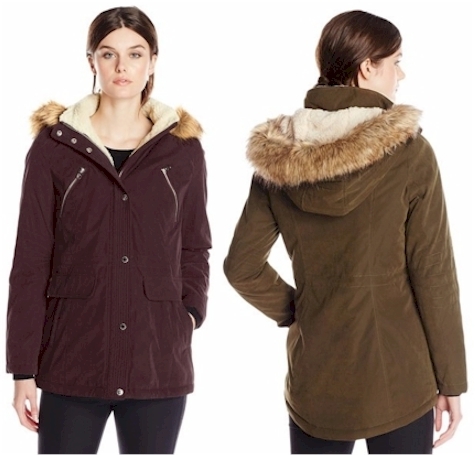 Every single coat UNDER $100. Lots of designers. 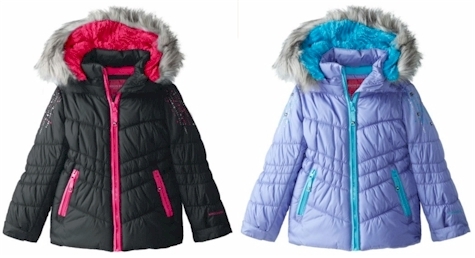 This London Fog Little Girls' Hooded Puffer Coat with Rhinestones is only $63.00 $15.75 with free Prime/SuperSaver shipping and free returns. As part of Neiman Marcus Last Call's Black Friday/Cyber Monday deals, they are doing FREE shipping with no minimum sitewide when you enter promo code CYBER at checkout (if you're a Shoprunner member, you'll get free 2-day shipping on most items). They are also doing some very steep sitewide discounts, 40% -80% off the entire site! 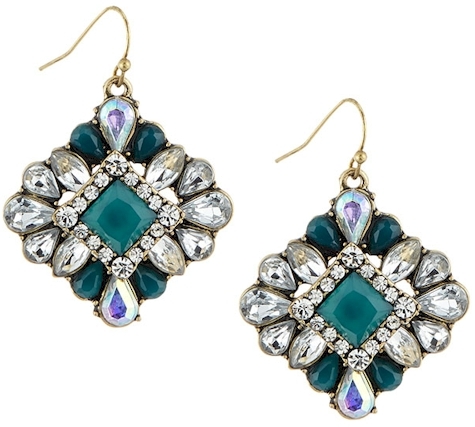 These Lydell New York Turquoise and Crystal Cluster Drop Earrings are only $9.00 with free shipping when you enter promo code CYBER at checkout. 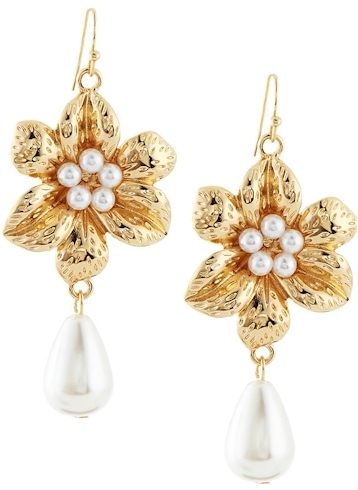 These Fragments Flower and Faux Pearl Dangle Earrings are only $7.20 with FREE shipping when you enter promo code CYBER at checkout. 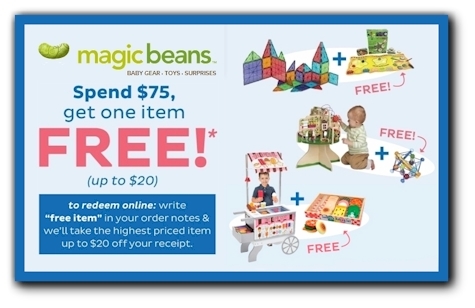 Spend $75 or more on toys and small gear at Magic Beans to get an item up to $20 for FREE (valid through 11/30/2015). To redeem online, place $75 worth of toys and small gear in your cart, and write "FREE ITEM" in your order notes, and Magic Beans will take the highest priced item up to $20 off your total. 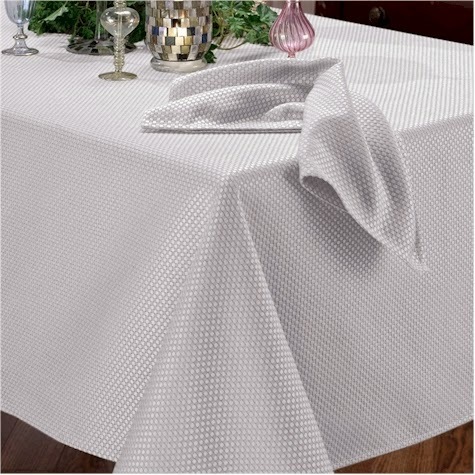 Amazon has got the Benson Mills Prego Waffleweave Fabric 52" x 70" tablecloth in taupe for $4.74. This is an Amazon Add-On item, which means that it ships for free with a $25 minimum order if you are an Amazon Prime member (and its price of $4.74 counts towards that $25), or it ships for free with a $35 minimum order if you're not a Prime member. You can buy multiples of this item to help get you to your $25 or $35 minimum for free shipping, but be aware that because of the low price, Amazon has limited the ordering on this to a maximum of 4 per account. Features an elegant Italian Waffle Weave Pattern. Fabric Content: 60-percent cotton / 40-percent polyester. 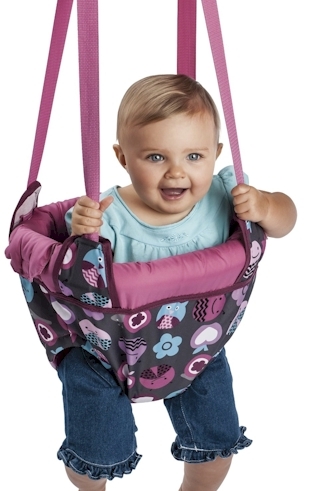 Amazon has got this Evenflo ExerSaucer Door Jumper for only $16.79 with free Prime/SuperSaver shipping. It got 4.1 out of 5 stars over 325 customer reviews. There are TONS MORE BLACK FRIDAY/CYBER MONDAY BABY DEALS OVER HERE. If you still haven't used your 30% off book promo code on Amazon yet, check this deal out. 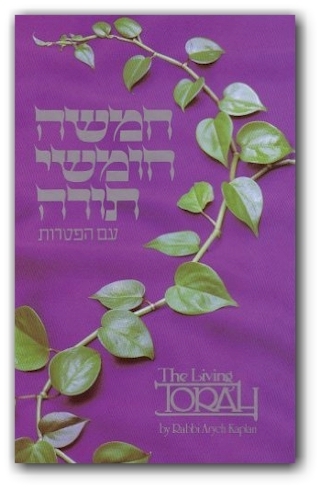 This is a must-have classic sefer for every Jewish home. Amazon has got The Living Torah by Rabbi Aryeh Kaplan for $36.00 in hardcover, but enter promo code HOLIDAY30 at checkout and that price drops to $26.00 with free Prime/SuperSaver shipping. If you don't already have this in your Jewish library, this is a great opportunity to get it for ~ 30% less. This is the Hebrew/English edition. 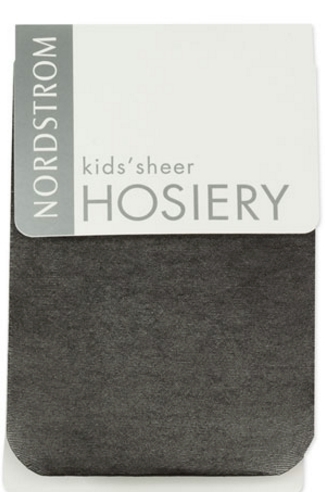 NORDSTROM CYBER-MONDAY SALE: Ruby & Bloom/Nordstrom sheer hosiery for Toddler Girls, Little Girls & Big Girls only $1.79 with free shipping! Stock-up price. Great for those snowy winter days. Nordstrom has got Ruby & Bloom/Nordstrom sheer hosiery for Toddler Girls, Little Girls & Big Girls only $1.79 with free shipping and returns (originally $4.00)! This price is only through tomorrow, 11/30/15, so stock up now. These pantyhose are great for those snowy winter day when you want to keep your little girls warm and dry. 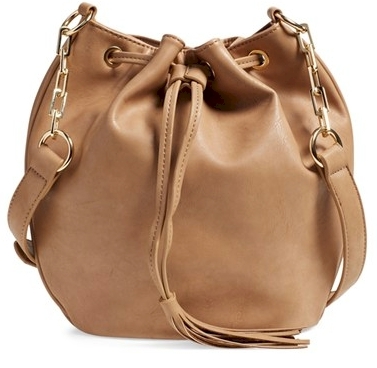 Nordstrom has got this Empiria Bucket Bag for only $18.75 with free shipping and free returns. It comes in navy and tan. 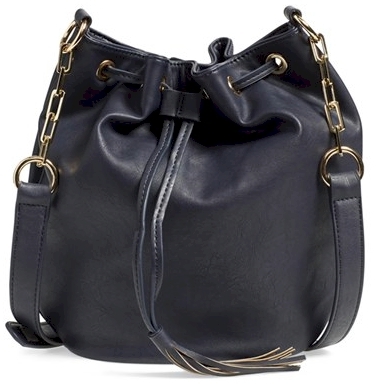 Description: Polished goldtone hardware and tassel details add a bit of biker-chic edge to a Bohemian drawstring bucket bag.